Every grower wants to deliver their product nice and clean to their purchaser. 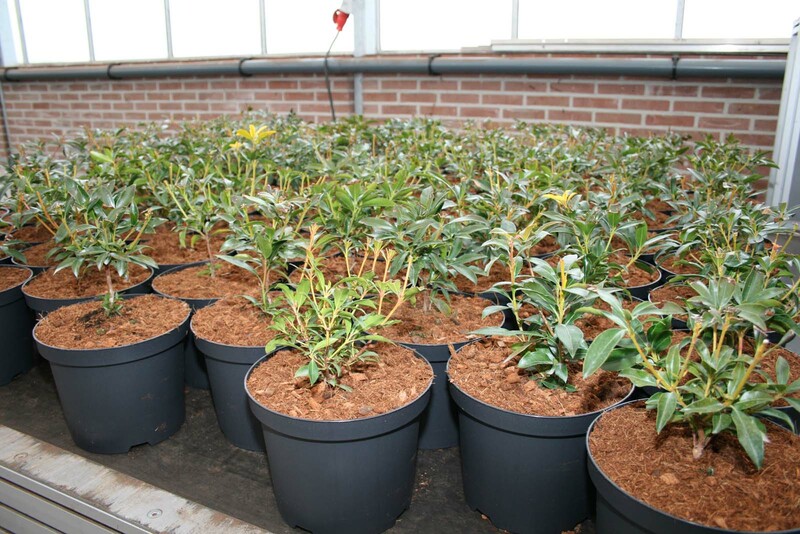 To clean the plants from different sorts of weed during the growing process however, much manual labour is required. Since several years, ‘covering’ is used as apreventive measure against weed, which cuts back considerable labour costs. 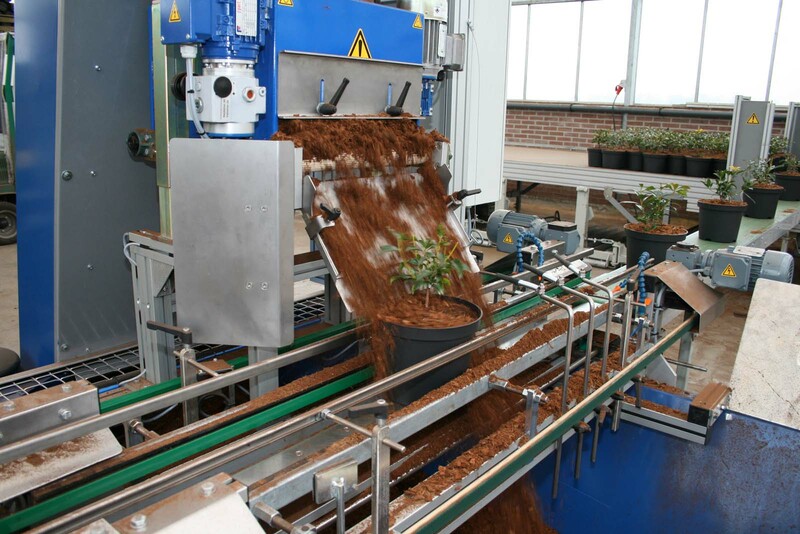 Automatically applying bark helps the grower even further. 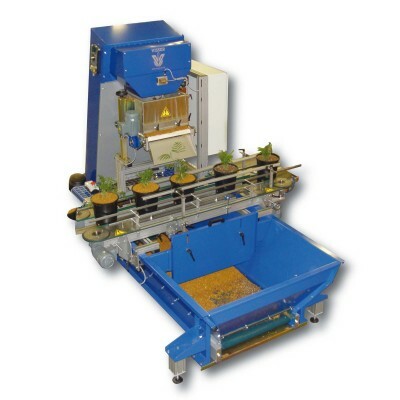 The Bark Topper is the Visser Covering machine that is used to cover pots with several sorts of covering media such as: bark, biotop or soil. Our machine can easily be put in line with the rest of your automation. Why choose the Bark Topper? The machine will always provide a layer of cover that is about 5mm thick. The speed is adjustable and the gate opening will determine the amount of covering media to be dumped in the pot. Easy change over is therefore possible. Because of the spinning and the sweeper at the end of the line, a uniform covering result is achieved. The excess material that falls beside and off the pot will fall back in the main hopper and is re-used. 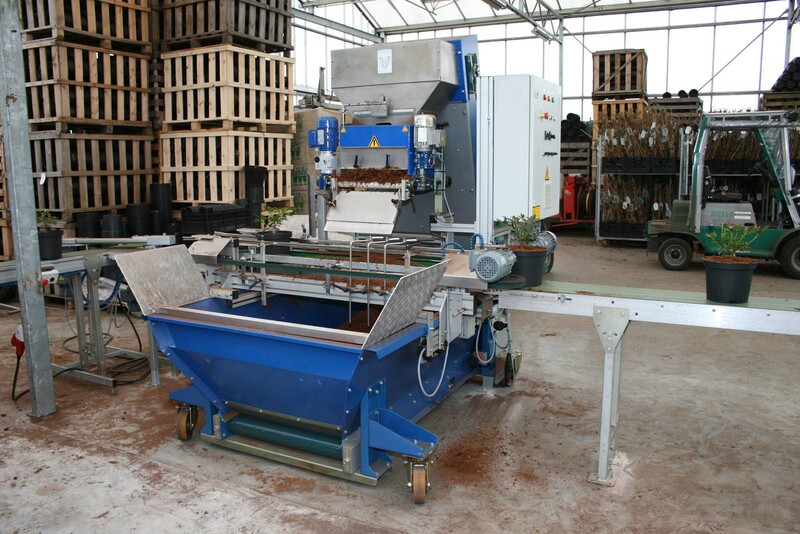 With the Visser Bark Spreader your pots are covered fast, uniformly and clean. Equipment that will immediately give you an advantage over your competitors through a lower cost price and a nice and clean product!